Adorable remodeled home in OKC! This charming home, built in 1950, sits on a large corner lot with great curb appeal, including new paint, shutters, columns & a new expanded driveway. 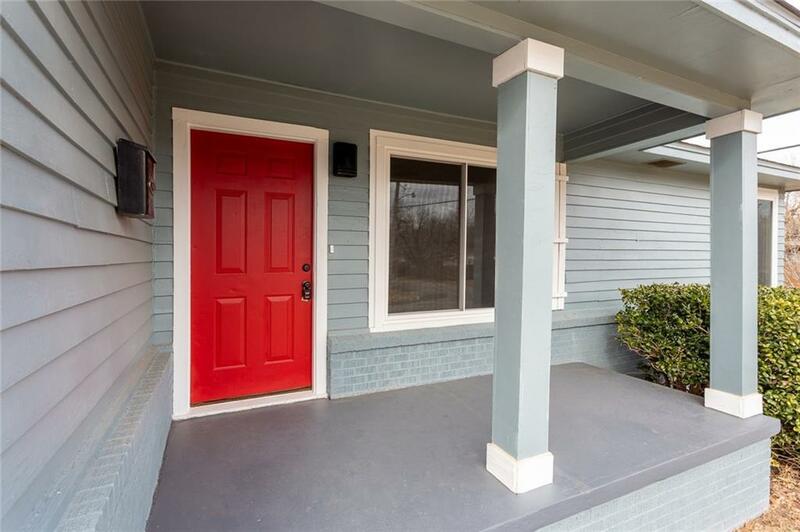 From the inviting porch you enter the home & see the gorgeous refinished hardwood floors & new interior paint throughout. The living room features an electric fireplace that stays with the house & can be positioned wherever you'd like. The wood floors continue into the dining room with a beautiful chandelier. The updated kitchen includes new tile, granite counters, subway tile backsplash, sink & faucet. French doors lead into the master with wall sconces, another electric fireplace & access to the full-size indoor laundry room. Two more bedrooms & the bathroom are located off the living. The bath is updated with new tile, vanity & mirror. Other updates include new ceiling fans, new roof & water heater in 2018, new sewer line in 2016, updated windows & some new fencing. See the Matterport tour!